As a therapist, a majority of your time is spent with client work. That client work is augmented by using resources such as form, templates, and tools. Forms facilitate the process of booking your client and recording client information for your practice. Templates help facilitate the process of introducing your client to your policies and tools can help you provide therapeutic help to your client. Creating these resources takes time. Many forms, templates, and tools within a therapy setting also must meet privacy, ethical, and legal considerations as part of their content. By using resources created by other professional organizations, this can help you are meeting your obligations as a therapist. Using these resources can also help you improve your professional skills by providing a framework and foundation on how to deliver specific interventions. You can create your own forms, templates, and tools that are relevant to your practice and contain your own specific branding including your logo and business details. You can create a single document and print it multiple times if you physically process and store paperwork. Alternatively, you can create digital formats for your paperwork for electronic processing and storage. If you process paperwork physically this means you can create your forms and templates in whatever format you prefer. If you choose to process paperwork digitally, you can create your form/template using whatever software you prefer, however, you need to make your digital paperwork accessible by a variety of methods so that many preferences by your clients can be met. Some clients may not have access to Office products and therefore may not be able to complete Microsoft Word documents. Pdf documents are universally accessible and can also be interactive by accepting input from clients. When creating your own forms and templates, you should first start by writing a list of requirements that you need to collect. This is information that you may need to collect to meet legislative requirements or ethical requirements by your industry association. You will also want to include any information that you want to collect that may benefit your understanding of the client’s current position in life. You may also want to include information that helps you learn more about how your business is perceived by the public or how new clients find your business. For questions that are not required by legislation or ethical standards, you can highlight them as optional so that your client understands they are not obliged to answer those questions. As a therapist, you should always remain respectful of your client’s information and time spent on administrative tasks. The most common software to use to create your own forms and templates is Microsoft Word. Microsoft Word is a widely used software that provides a lot of flexibility in creating various styles of forms. You can incorporate your own logo, business information, graphics, tables, spreadsheets, and input fields. Microsoft Word also allows you to save your document in a variety of formats to provide to your clients. If you want to use more robust software to create your forms and templates, you could use software from the Adobe Suite. The most common software programs used from the Adobe Suite to create documents include Illustrator, InDesign, and Photoshop. InDesign is used professionally to make magazines and printed books and therefore contains features that will help you easily create professional documents. Illustrator and Photoshop are traditionally used for graphics and images, however, they are also easily used for creating text based documents. Adobe products do have a steeper learning curve than Office products. They are also more expensive and provide a limited range of exporting your documents for use by other people such as your clients. The most positive benefits of using Adobe products is they contain a lot of features that can help you produce beautifully designed documents. As technology improves, software providers are always looking for ways to improve their features to entice users to use their products. Microsoft Word has evolved substantially over time from being a purely text based program to now incorporating many graphic, interactive, and internet based features to help you create well designs and accessible documents to many users of the document. At this stage you’ve written down all of your requirements to include in your document and chosen your preferred software. Now you need to create your document. For any software you choose to use, the creators of the software will usually include templates for you to use as a guide to develop your own template. You will also find that users of the software often make their template versions freely available to other users. For example, Microsoft Word contains a number of templates to create a calendar. Creating your own templates is an excellent way of personalizing your private practice documentation, however, it can take a significant amount of time to initially create your documents. There may also be a significant learning curve if you are not confident with software or using a computer to create your own documents. If these hurdles are too significant, then take advantage of the many professional organizations and colleagues within your industry who provide free resources to download and use in your practice. *NOTE: Pay attention to the requirements of each provider of the documents that you use as they may have specific restrictions on how you can use their forms and templates. Below is a list of websites that provide free forms, templates, and tools that you can use in your private practice. Some of these websites will require that you enter your email address to receive access to a single free resource or an entire free resource library. 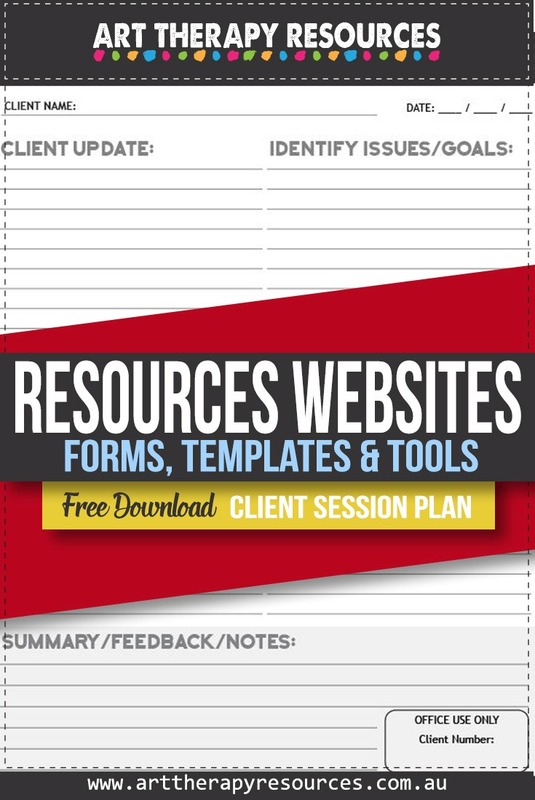 SIGN UP below to download the FREE Client Session Plan Template. 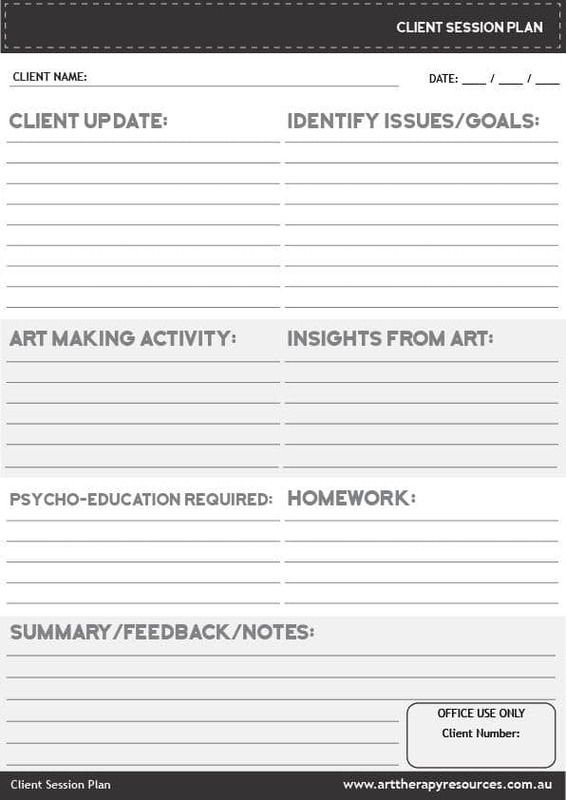 Use the template to create notes for your client session. Use this template for every client session. Download the FREE Client Session Plan Template.